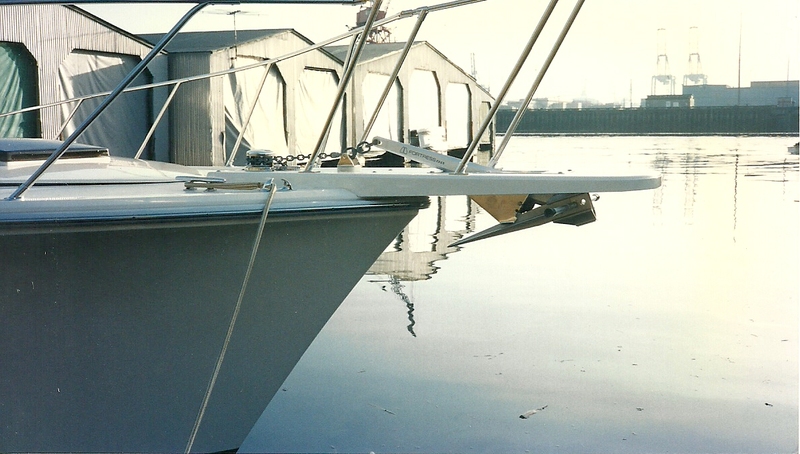 Butler’s Fiberglass Anchor Pulpits are built solid without a foam, balsa or plywood core, which eliminates delamination problems and core rot brought on by water seepage. 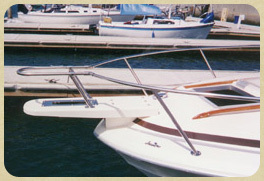 They are constructed to allow adjustment to the contours of the deck and toe rail. 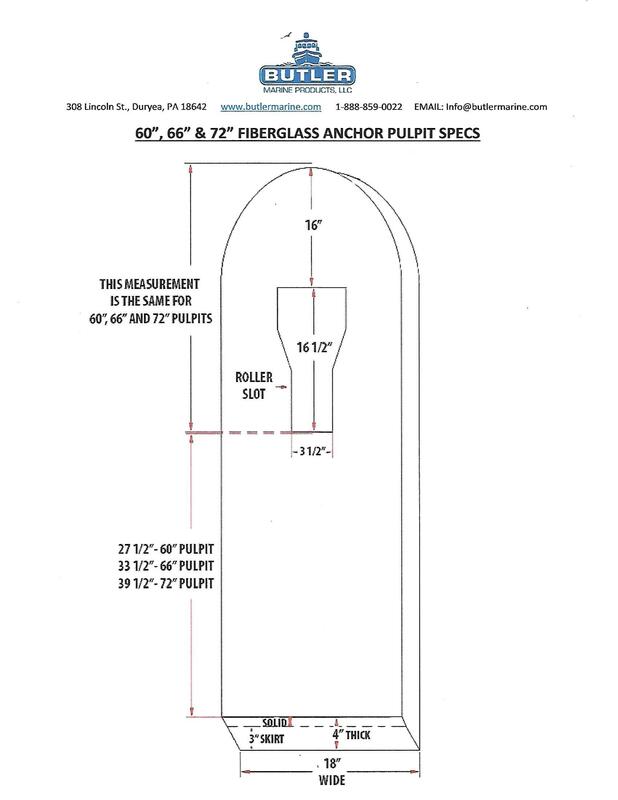 The pulpit height includes approximately 3/4 inch deck thickness plus the skirt/flange. 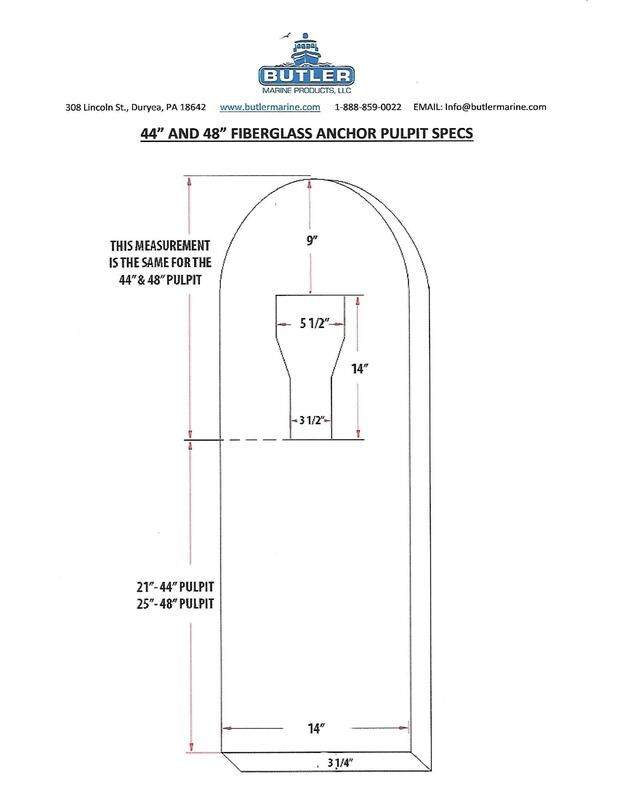 The thickness of the skirt/flange is approximately 3/8 inch thick. 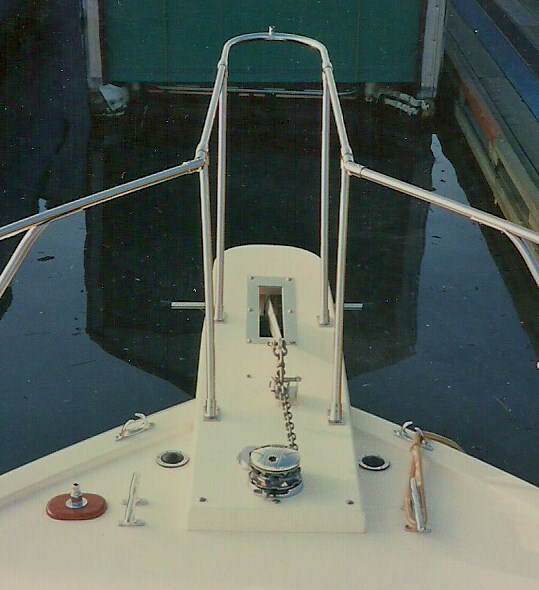 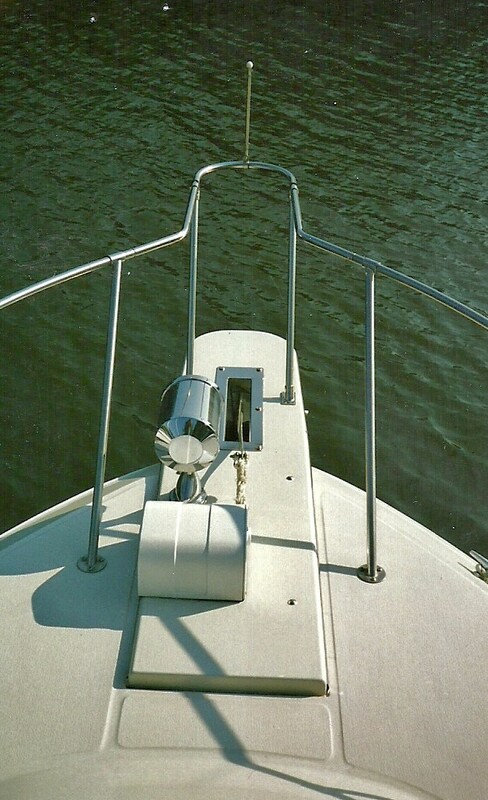 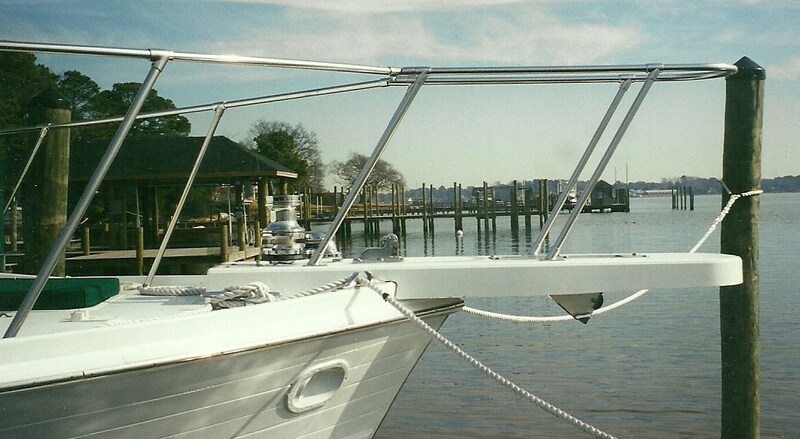 Our fiberglass pulpits have a built in slot to accommodate a suspended anchor roller. 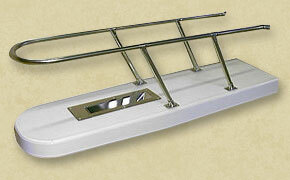 All pulpits include custom color matching and mounting hardware. 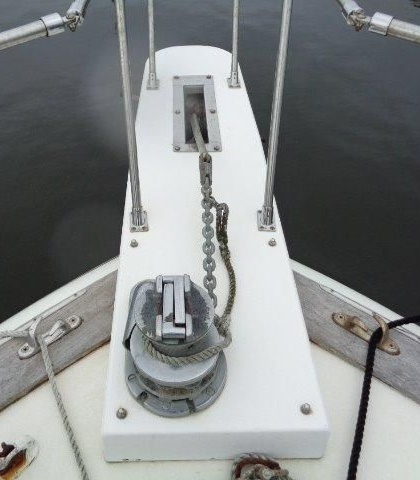 Anchor rollers and rail kits are sold separately.